Schneider quits training All New Drivers. 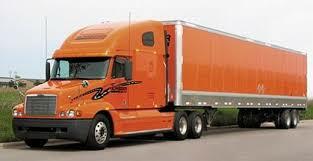 Fewer Truckers needed as economy slow down. In a move that is a result of the country's economic problems and also an indication of their seriousness, Schneider stated in January that it will stop training inexperienced people to become truck drivers. Instead, the Green Bay firm, one of the country's largest trucking outfits, will fill driver openings exclusively with veterans-something it hasn't done since the mid-1980s. For years, trucking executives nationwide complained of a "driver shortage" that created huge turnover, pushed up pay and sometimes left tractors sitting idle despite plenty of freight demand. But with the recession, trucking-company failures have spiked, a record number of trucks have been idle and drivers who once jumped from firm to firm for better pay or working conditions are more inclined to stay put. There's a huge over supply of drivers now. Even the American Trucking Association, which three years ago said the industry was short 20,000 long-haul drivers, says the present picture, at least,looks much different. In the meantime, Schneider is changing its hiring model..
Each year, the company has trained thousands of inexperienced drivers at centers across the United States and Canada. The private firm, which employees or contracts with 14,400 drivers, posted $3.5 billion in revenue in 2007. Sales for 2008 haven't been disclosed. On average, it cost Schneider about $8,000 and takes about 45 days to train a newcomer. Training for experienced drivers,which focus largely on orientation in Schneider's way of doing thing rather than the the fine points of,say,steering out of a skid, takes about four days and cost about $1500. With the industry contracting, Schneider can take advantage of of the savings. the supply and demand lines have crossed, and there are now more experienced drivers than there are jobs. Schneider National’s truck-driving-school plans to train experienced drivers only because of the increased supply of experienced drivers in the marketplace. Schneider National will fill drivers positions exclusively with veteran drivers. For-hire carriers have been reducing capacity over the past year in response to the weak freight environment, so the hiring environment has swung from a tight supply of experienced drivers to a wide availability of experienced drivers in the marketplace. The driver availability situation will not become tight again until freight volumes and fleet capacity trend upward requiring fleets to expand capacity to meet higher shipment volumes. There are still good paying jobs still out there even if Schneider quits training, you just have to look harder and be more persistent. People are always quitting, retiring or getting fired from these jobs they will always need replacements.